we have developed a special chronographs collection, limited to 100 pieces. Here is our « AMIRAL », chronograph, Flyback certified. This watch definitely deserves its Prestige statuts. 26 pieces limited, it will withstand the test of time, such has its 1954’s sister did and, of course, will be on the first rate collection watches in the very early coming years. The case and the bezel have been designed in a perfect 316L steel. Size: 42mm. 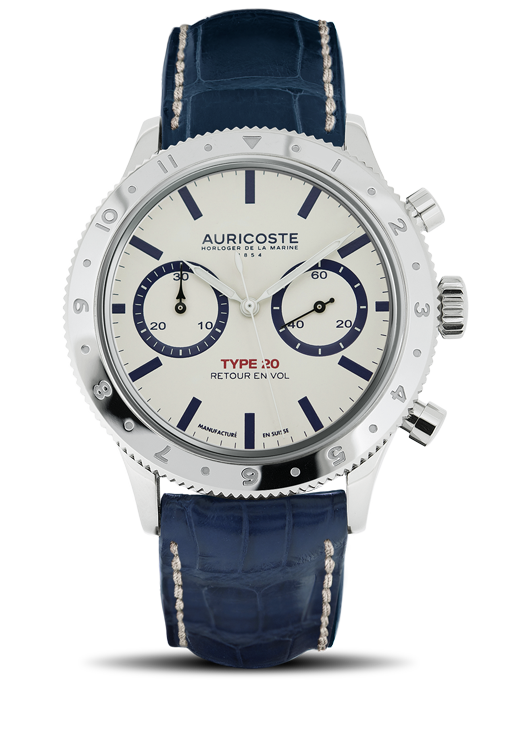 The watch feature a genuine alligator strap and a steel deployment clasp. The movement is a Dubois-Depraz self-winding mechanical Flyback certified, 57 jewels and a 52 hours power-reserve.